Simulating the sea sometimes requires lot of time and tests. I found a way to do it simply using a cloud filter from photoshop. Read here and download the test file to try. When the light pass through a curved and transparent body (glass, water ..) it result concentrated in some areas. This effect is called Caustics. 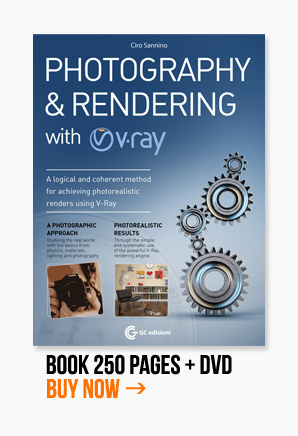 Learn how to simulate it with V-Ray Caustics. Have you ever tried to create more that 24 materials in the material editor from 3ds Max? It seems impossible but that’s not the true. Read my tutorial and everything will be clear.